It’s January, which means it’s resolution time! You may have decided to spend more time with your kids, lose 10 pounds, or take a walk every morning before work to lower your stress levels. Did you know you can also make resolutions that will help your home? 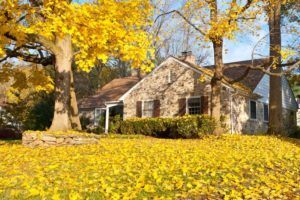 Each of the following things can help keep your house in good shape and make it a place where you and your family want to spend more time. Performing maintenance on your comfort systems will help keep you and your family comfortable all year round. It can also help you save money by making the systems work more efficiently. This means you won’t spend as much on your utilities and that you shouldn’t have to replace your heater and air conditioner as often. You can do some of the maintenance yourself, like checking on your pilot light, cleaning out your intakes, and changing your furnace filter. However, it’s important to call in a pro, too. Our HVAC techs have the equipment to test the components of your heater and air conditioner to make sure they are working according to the manufacturer’s specifications. If they aren’t, we can fix them, too. You may not think it’s very important, but using your plumbing system wisely can mean the difference between a repair-free year and one full of plumber visits. The following are simple steps you can take to care for your plumbing system. Don’t put oils or fats into your drains. This includes bath oils as well as those used in the kitchen. Put hair traps on your bathroom drains so hair doesn’t collect inside your pipes. Run water for 15-20 seconds after you turn off your garbage disposal so food waste can be flushed into your main pipes. Never put large or fibrous things down your garbage disposal. It might handle them a few times, but it wasn’t built for that. Wait a few minutes between showers to keep your water pressure even. This reduces the strain on your pipes and on the entire system. Make these things into habits this year to keep your plumbing working well. Did you know that there is maintenance you can perform on your plumbing system each season that will help you extend the life of the system and save on repairs? Anytime you need a plumbing repair, an A/C repair, or a heating repair, get the job done fast. Call us as soon as you notice that something is wrong. Many small issues will become larger ones over time, so calling us fast means that you avoid a massive issue later one. Some homeowners worry about the cost of a repair and they let that keep them from calling us. Trust us when we say that paying for a small repair now is so much better than paying for a much larger one later! We can also help you get the financing you need to make your repair possible. We love it when people put in the work to keep their homes running well year round. We would be more than happy to help you out. Give Rowell’s Services a call to ask any questions, meet or consult with an expert about maintenance, or get on our schedule to get some work done soon! We would love to help you live better.